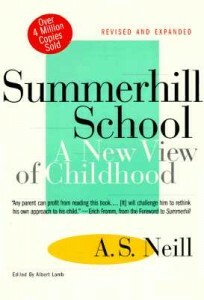 I remember thinking that there would be no book that would affect me like A.S. Neill‘s Summerhill when I read it. I read Summerhill during the AERO school starter course led by Jerry Mintz four months before I opened The Mosaic School, LLC in January of 2013. After reading Neill’s book I felt empowered and inspired to take action to create a school grounded in principles that I believed in. Neil showed me that an education centered around the needs of individuals – who they are, their passions, their interests – was possible. Then I read Democratic Education by Yaacov Hecht in August of 2013, weeks before Mosaic officially launched as a full blown school. Hecht’s writing and story are incredible and I found myself blown away as I was when reading Summerhill. Even more remarkable, as I was reading his book during IDEC in Boulder, CO that August, Hecht ended up walking over and joining me and my friend @Alex for lunch. If that’s not divine universal intervention, I don’t know what is! Hecht founded the Democratic School in Hadera, Israel, the first school in the world to call itself democratic. His model was so appreciated by parents and students that when his waiting list grew to the hundreds, he ended up starting another school. He has since been called the “Father of Democratic Education” in Israel, establishing a network of schools serving over 7,000 students in his country. I highly encourage that educators and parents read his book, as he provides a very easy-to-read account of his journey, from how he grew up to starting his first school, how he expanded on his ideas, vignettes about students in a free school setting, detailed learning theories, as well as his current and future projects. Before I met @Tomis at the Agile Learning Center in NYC, I had read Hecht’s book and knew that I wanted to be a part of a network of schools united in supporting each other. I had previously taught at a small school start up in Charlotte, called The Friends School of Charlotte, where I was one of 2 teachers. I knew how isolating and challenging it felt to try to create something so different than the social norm. I didn’t want Mosaic to only be one school. I wanted to have other schools and educators that I could learn, play and grow with. Reading about what Hecht had created inspired me to keep hold of a vision where I wouldn’t feel like I was creating alone. I knew I would one day be able to connect with other educators that wanted to create schools aligned with a similar philosophy. What I am feeling extremely grateful for right now is how the reading of both of these books directly contributed to my next steps in the creation of Mosaic. 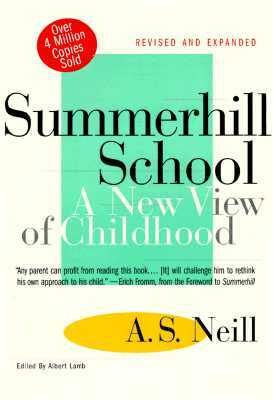 I read Summerhill (by Neill who started and ran one school for his lifetime), and shortly thereafter, I was starting a school. I read Democratic Education (by Hecht who started a network of schools), and again, within months, I was joining forces with the team at ALC NYC to create a network of schools. I do believe that we all have the power to manifest what we want to see created in our own lives. Sometimes a little inspiration from the work of those preceding us helps us remember what is possible. 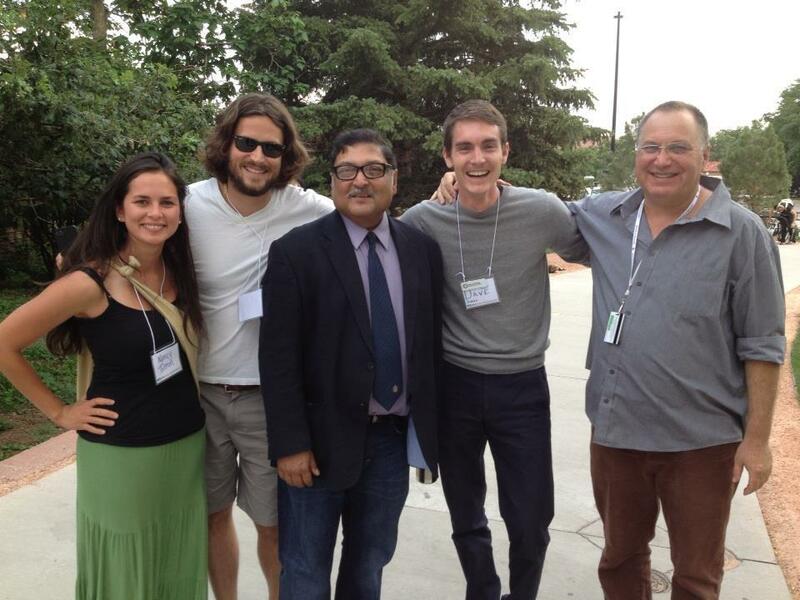 Recently, I’ve felt challenged to re-visit the reasons I started this school and ALC movement. This is a good and healthy challenge, one that I enjoy diving into so I can stay connected to the heart of what I do rather than live in my head and the stories I can tell myself. From time to time, I need to create space where I can get quiet with myself and remember why I do what I do. Learning is natural. It’s happening all the time. People develop their strengths through cycles of intention, creation, and reflection. People learn more from the culture and environment they are immersed in than from the material they are taught. The 21st century world demands the creation of visible, shareable value as evidence of learning. The first four are roots that I really wanted to re-visit, and to do so, I’ve taken a journey back to Hecht’s writing that inspired me so deeply to action over a year ago. I remembered how Hecht so diligently described what he calls “pluralistic learning” that is able to happen in an environment where students make their own choices about what they are doing and learning. I have been re-reading Chapter 3 of this book and as I read his words and stories, I am reminded of what I see happening at ALC Mosaic in connection to Hecht’s words and our Agile Roots. 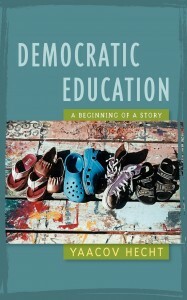 I’ll attempt to share what I mean through my synthesis of this chapter of Democratic Education below. Our traditional education systems are set up in a way where there is a limited box of knowledge and skills of what administration & teachers want children to learn and be skilled at doing. 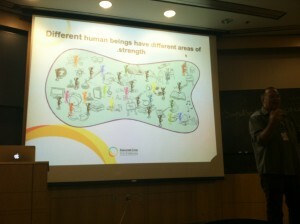 In the image above, Hecht represents what schools decided students need to learn with the little square, and the larger shape represents the world of knowledge available. This little box is what most education systems deem time “well-spent” for children. For those people who aren’t naturally good learning or doing what is in that little box, school is quite a frustrating experience. Hecht points out that many times, when children are doing things in school or in life that are not related to learning what is in that little box, adults consider it time wasted. The really important reminder that Hecht has given me as I re-read this chapter is that the content of what we are learning is never more important than how the process of learning occurs. We can have children learn content that we think is important for them to learn, but if that learning process occurs by telling them “This is important for you to learn because we deem it so. Even if this does not contextually make sense for your understanding of life and meaning, don’t think about that. Just learn it and show us you know this content by doing ‘X’ so we can prove to others you know it,” the student actually learns that learning occurs when you get information from others – and that others decide what information is important to know. They are learning a lesson that they are not to be trusted to determine what skills or knowledge is important for them to gain. To me, this increases the chance that the child will grow up to be disempowered to create change or meaning for their own life – they will think that other people who have authority are the ones smart enough to make change and decisions. They might learn that complaining about how things are is the only way to cope through life. What Hecht describes taking place in democratic schools is the ability for pluristic learning to occur where the learning is not about “what is done, but rather how processes occur….What is important and meaningful is the growth of inner strengths that enrich and enhance the repertoire of learning tools.” (pg 107) Students who are able to spend time learning in their area of growth are spending time practicing all the skills they need in order to learn any other type of content or skill. They are developing the connections in their brain for learning how to learn, rather than how to conform. Just like working out, what muscles we work out are the ones that end up being developed. I think parents and educators need to examine closely what “muscles” we are having our children practice in school settings. When I began re-reading this chapter, the vignette about the child doing handstands immediately had me thinking about two of our students learning to skateboard this year. These two went out almost every day this fall to skateboard. Again and again they would ride down a gently sloping hill on our campus on their bottoms. It was only a couple weeks ago that the girls excitedly called for me and @Charlotte to see them finally standing up on their skateboards! Were they wasting their time at school this fall? Certainly this is not in the little box of knowledge that many educators deem important for children to learn. I, and I believe Hecht would agree, observe that these children learned how to persevere. They learned how to commit to learning a skill. They learned how to be brave enough finally stand up on the skateboard. They gained so many skills that will help them learn how to accomplish many more things they commit to learning in their lives. Re-reading this chapter inspired me to take a journey through our school’s Facebook photos, with a thoughtful perspective of all the amazing things the children are able to learn and practice in this free setting. It’s all about perception – one might choose to perceive that some children have an unhealthy obsession with Pokemon. There is also a choice to perceive this game differently. You can take a look at @Charlotte’s lessons learned from Pokemon, including the skill of organization, equitable trade, planning, creation, and even the academic discipline: math. What I value most from Pokemon is how the children create their own value systems based on what they find important. Some value the cuteness of a character, some value the HP. Each create a meaning for why they covet a particular card higher than another. What muscle are they practicing here? Perhaps when they grow up these children will have a strong ability to discern for themselves what values are important to them politically. They won’t need to just take on the beliefs of those they deem smarter than them (i.e., repeat political agendas of their parents or a teacher they come across in school). They will have had the practice of learning to discern for themselves what values are important to them. My last blog post was about the game Werewolves and observations I made about the perseverance and determination I saw demonstrated as the kids tried again and again to play this complex game. The kids gained experience in how to organize themselves, children of all ages, to listen to each other. I don’t think I need to explain how valuable this skill might prove to be for humans to gain…learning how to support different individuals to listen and respect one another. This is the “muscle” we practice the most at our school, one that I wish more human beings (including myself) had practice in growing up in schools. Perhaps if the privileged children in the United States learned how to support and listen to individuals coming from different perspectives than their own, global change might happen in how humans perceive and treat one another. Why do I share this? Why blog these details? I want more parents and educators to rally to support educational reformation. The stories of children learning how to learn need to explained in detail, and I am committed to sharing these stories over and over again. 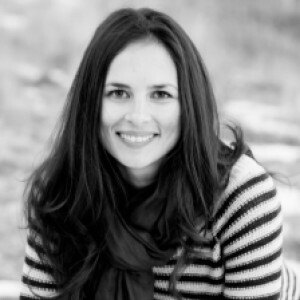 I am committed to helping others draw the connection to the importance of play and autonomy in the lives of children to how those can create a future generation that is capable of creating positive social impact for all human beings. Sure, but learning how to learn is even more important. Learning how to commit, persevere, be courageous, make decisions, collaborate, share, create meaning and purpose, create your own life…all those things I find more important. Re-reading Hecht’s journey alongside my walk down Facebook photo lane has me feeling energized and excited about the adventure I have embarked on.